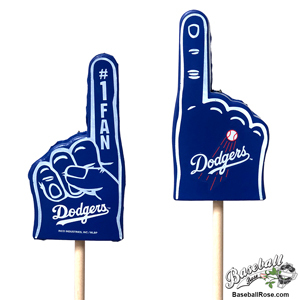 Hit a home run with your Los Angeles Dodgers-themed gift by including an officially licensed LA Dodgers Mini Foam Finger Topper. The Dodgers mini foam finger topper is double sided and features the Los Angeles Dodgers logo on one side and the Dodgers #1 Fan logo on the reverse side. 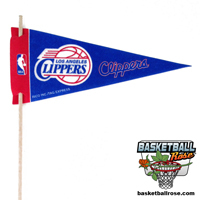 The mini foam finger topper can be placed on a pencil or pen, car antennae or hung on a rear view mirror with the supplied dangler cord (not pictured). 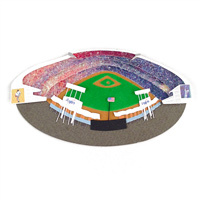 Although we recommend inserting the Mini Foam Finger into a Baseball Rose™ flower arrangement with the 18" wooden dowel that is also included. 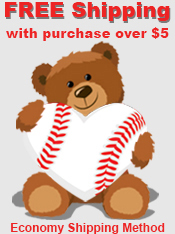 Los Angeles Dodgers Themed Gift Idea! 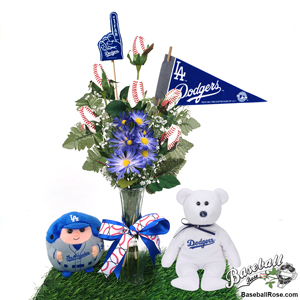 Create a memorable gift by combining the Los Angeles Dodgers Mini Foam Finger with a Baseball Rose™ vase arrangement and other officially licensed LA Dodgers Accessories. Click on the image below to view all available accessories. 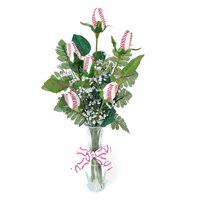 Our most popular Baseball Rose arrangement! 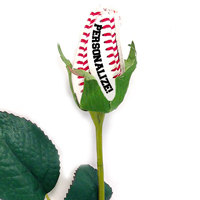 Accessorize Baseball Roses with an MLB accessories to show off your team pride! 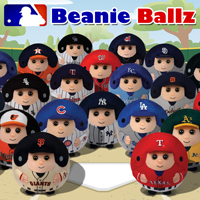 Add a cute and cuddly beanie ball to your order. It will bring a smile to any Dodgers fan.